GREAT VALUE - Loaded with features yet low on price. KastKing Summer offers the best value...at any level. The KastKing Summer Fishing Reel turns any angler into a PRO. 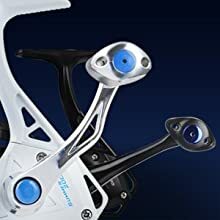 LIGHTWEIGHT - narrow graphite frame design and computer balancing system combined with high performance in the compact Spinning Reel makes KastKing Summer an awesome gift for anybody who loves fishing. 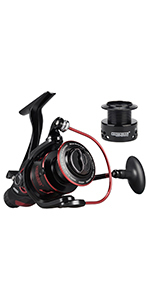 HIGH POWERED - KastKing Summer spinning reel's Superior Drag System offers incredible stopping power up to 20LBs. 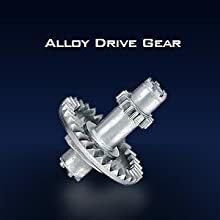 It has a hardened metal main shaft, perfect mesh drive gear and precision machined pinion gear for fish fighting power. SMOOTH PERFORMANCE - Summer's nine quality ball bearings and one instant stop one-way anti-reverse bearing give it ultra-smooth performance. 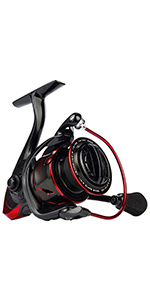 LOOKING GOOD - Summer's attractive, brilliant finish and its high strength two color anodized aluminum spool, with a power launch lip for farther casting, holds more line than competitor's models that sell for much more. 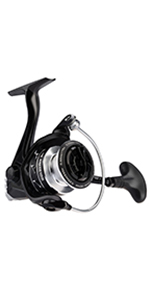 The KastKing Summer Spinning Reel is loaded with quality features. 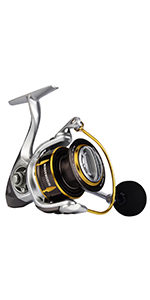 It is a fishing reel that is an excellent addition to your fishing tackle collection. 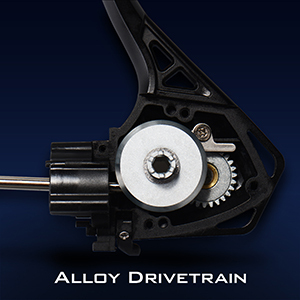 9 + 1 quality ball bearings, powerful drag, and special components stand up to hard use. Spool up a Summer spinning reel with KastKing braided line for a high performance package. 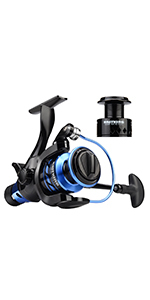 Summer/Centron spinning reel has a lighter and stronger CNC machined aluminum spool that has more even line lay, internal grooves for lube retention, and more fishing line capacity. 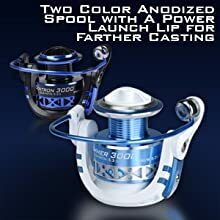 Summer/Centron's attractive, brilliant finish and its high strength two color anodized aluminum spool, with a power launch lip for farther casting. 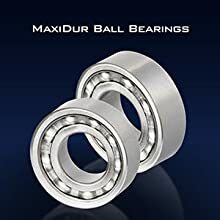 Summer/Centron's nine quality ball bearings and one instant stop one-way anti-reverse bearing give it ultra-smooth performance. Summer/Centron spinning reel has a hardened metal main shaft, perfect mesh drive gear and precision machined pinion gear for fish fighting power. This is a very smooth and strong reel. Works for me. Started out fishing for Reds on the Texas coast and am now fishing for bass and catfish on fresh water lakes around my area. I have been fishing for almost a year now and the Kastking Summer 2000 reel has been great. I use it for bass and panfish without any problem. The drag feels good and it has great castability. I have gotten one for my brother and he seems to like it. Overall, its a good reel for a fantastic price. Centron Reel is fantastic. Super smooth, high quality for a lower priced reel. Will but again for sure. What size reel would you recommend for saltwater fishing in the gulf of Mexico? to include jetties fishing? I have caught bull reds and smaller.